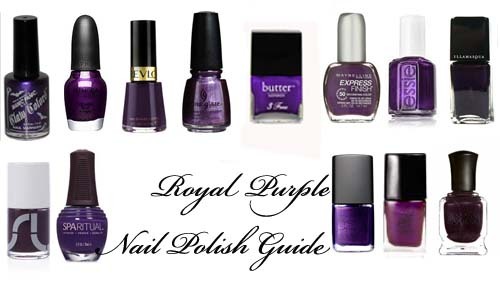 The Crumpet: 30 Days of Purple! It's heeeeeeeeere. 30 Days of Purple, starting later today. It's not a challenge, and there aren't set themes, other than that it's ALL purple. I also thought it would be a cool way to test out all the nail art goodies I've bought recently, as well as providing a showcase for all the patterns out there that can be done - chevrons, splatters, dotticures and so on. I'm going to TRY and do art everyday, but I am ridiculously log jammed, and it might not quite happen. So I do have some pretty purple swatches too, but I really hope they are used as duplicate posts on some days rather than being THE post. I thought this week would be blogging heaven. On holiday and without my daughter for half the week, I thought I would get loads more done than usual. I haven't .... which possibly means there's not enough time in the world for all my blogging ideas!